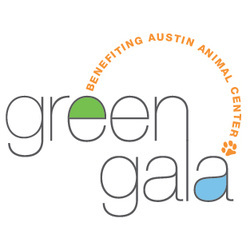 On Saturday, October 22, 2011, Friends of Town Lake Animal Center celebrates the new Austin Animal Center with The Green Gala. After 50 years at the Town Lake location, the move to our beautiful new LEED Silver-certified facility on a peaceful, tree-shaded campus with a walking trail and off-leash dog park is one more step in achieving and maintaining a permanent No-Kill status for Austin. Friends of Town Lake Animal Center will host The Green Gala to help raise funds to purchase much-needed veterinary equipment as soon as possible, and to support future shelter needs such as spay/neuter vouchers, vaccination clinics, adoption drives – even dog treats! Our theme for the gala emphasizes all the green aspects of our new animal shelter – keeping it local and uniquely Austin. Dance to the tunes of The Hot Club of Cowtown, our gala band, whose members not only live here in Austin but also adopted their dog Eva from Town Lake Animal Center (she might even make an appearance at the party!). Enjoy locally sourced and locally grown food, prepared by Catering With A Twist and served on biodegradable and recyclable dishes. Our beverages are local, too, with Republic Tequila, Enchanted Rock Vodka, Live Oak Brewing Company, Paula's Texas Spirits and Texas Tea all pitching in. The silent auction will feature special items from locally owned businesses and local artisans. Tour the new buildings to see just how LEED certification plays a role in the new shelter and helps to make this center better for not only the animals, but also staff, volunteers, and customers. Win a bottle of wine in our fast and furious wine toss.